All-HYIPs.info - the best hyip Monitoring! 14.04.18 18:50;Account;Receive;Received Payment 9.9 USD from account U15337587 to account U1294000. Batch: 211563846. Memo: API Payment. Withdraw to allhyips from Hour Cryto LTD.
14.04.18 12:20;Account;Receive;Received Payment 6.6 USD from account U15337587 to account U1294000. Batch: 211537036. Memo: API Payment. Withdraw to allhyips from Hour Cryto LTD.
15.04.18 17:29;Account;Receive;Received Payment 12.35 USD from account U15337587 to account U1294000. Batch: 211634055. Memo: API Payment. Withdraw to allhyips from Hour Cryto LTD.
$10.00 has been successfully sent to your AdvCash account hyiperhyipernet@gmail.com. 18.04.18 19:29;Account;Receive;Received Payment 15.12 USD from account U15337587 to account U1294000. Batch: 211937476. Memo: API Payment. Withdraw to allhyips from Hour Cryto LTD.
20.04.18 10:59;Account;Receive;Received Payment 2.9 USD from account U15337587 to account U1294000. Batch: 212079277. Memo: API Payment. Withdraw to allhyips from Hour Cryto LTD.
20.04.18 20:07;Account;Receive;Received Payment 0.2 USD from account U15337587 to account U1294000. Batch: 212119012. Memo: API Payment. Withdraw to allhyips from Hour Cryto LTD.
$1.50 has been successfully sent to your AdvCash account hyiperhyipernet@gmail.com. 22.04.18 10:17;Account;Receive;Received Payment 2.00 USD from account U15337587 to account U1294000. Batch: 212237353. Memo: API Payment. Withdraw to allhyips from Hour Cryto LTD.
21.04.18 19:53;Account;Receive;Received Payment 3.7 USD from account U15337587 to account U1294000. Batch: 212197111. Memo: API Payment. Withdraw to allhyips from Hour Cryto LTD.
22.04.18 18:44;Account;Receive;Received Payment 0.4 USD from account U15337587 to account U1294000. Batch: 212272493. Memo: API Payment. Withdraw to allhyips from Hour Cryto LTD.
23.04.18 10:50;Account;Receive;Received Payment 5.26 USD from account U15337587 to account U1294000. Batch: 212322530. Memo: API Payment. Withdraw to allhyips from Hour Cryto LTD.
$0.40 has been successfully sent to your Payeer account P88839824. $6.68 has been successfully sent to your Bitcoin account 16rit8HzzmTMoDkzNvpmLeJLFRGH47RdoK. $17.16 has been successfully sent to your Bitcoin account 16rit8HzzmTMoDkzNvpmLeJLFRGH47RdoK. 24.04.18 11:19;Account;Receive;Received Payment 4.9 USD from account U15337587 to account U1294000. Batch: 212423469. Memo: API Payment. Withdraw to allhyips from Hour Cryto LTD.
23.04.18 18:36;Account;Receive;Received Payment 0.4 USD from account U15337587 to account U1294000. Batch: 212365181. Memo: API Payment. 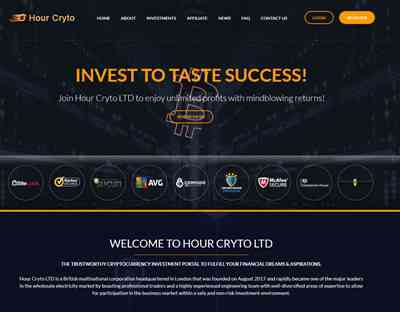 Withdraw to allhyips from Hour Cryto LTD.